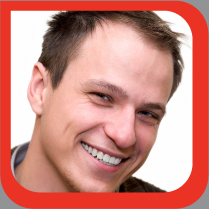 For the past 20 years, the Calvet name has been synonymous with quality, service and integrity in the dental field. 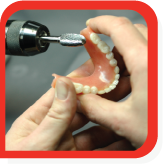 We offer a wealth of technical expertise and years of hands-on experience that makes us a powerful resource with a high dental IQ. Taking great pride in supplying our dental providers with the finest products possible, we personally guarantee that all of our products are manufactured under our watchful eye at our Brentwood, Long Island facility. 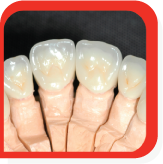 Calvet Crown & Bridge utilizes only the highest quality materials available, regardless of price. The alloy in our restorations is purchased from the Argen Corporation, a highly respected firm that has grown to become the largest manufacturer of dental alloys in the world. 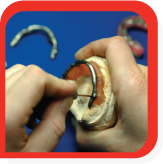 And, the implant components we use are matched to the manufacturer of any components already in the patient's mouth. With our dedication to incorporating the latest advances in dental technology and passion for elevating our craft, you can count on Calvet Crown & Bridge to manufacture complex dental restorations that meet the most rigorous standards. We will never outsource our work, use knockoff parts or anything else that would tarnish our reputation, endanger the welfare of your patients, or diminish our good standing in the dental community. We look forward to continuing our valued relationship with you and providing safe, high-quality products for your patients. © Copyright 2019 Calvet Crown & Bridge, Inc. • Site created by Trade Show Solutions Center, LLC.